Kim begins her 23rd year teaching at ABC Preschool. She graduated from Concordia College Moorehead in 1995 with a Bachelor of Arts degree in Elementary Education. She was hired on to staff in October of 1995 to start a second classroom for the preschool. Kim teaches the older classes. For most of her time at ABC Kim has also served as the director for the preschool. She is married with 4 children. 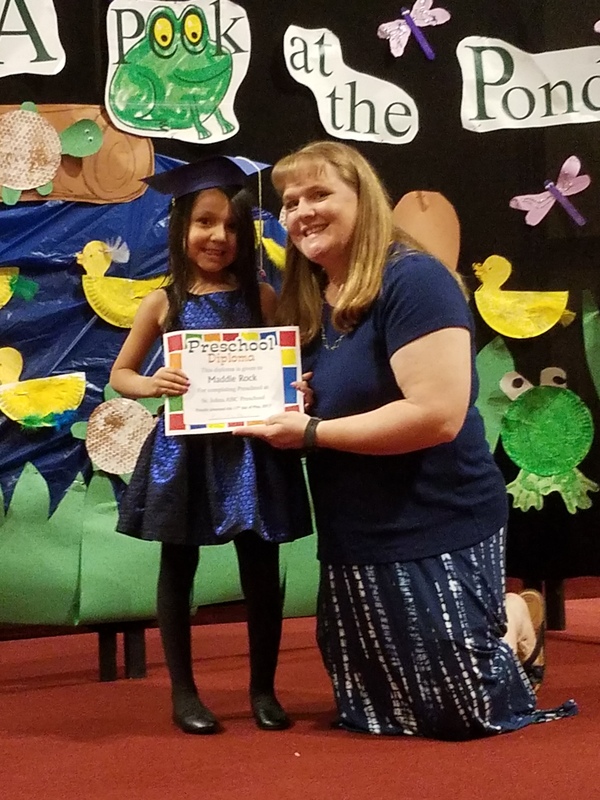 The 2018-19 school year marks Ruth’s third year at ABC Preschool. Graduating from Concordia College – St. Paul with Elementary Education degree she has been involved in education for over 35 years. Ruth teaches the younger children at ABC. She also serves St. Johns as the director of the Board of Christian Education and has helped with the Release time program for the last three years. Our teachers are First Aid/CPR certified. Elayne joined the ABC staff as a full-time helper in 2014. She had served many times as a substitute aid for the preschool after she and her husband moved to the Park Rapids area a couple of years ago. Pastor Jim Neubauer is the Senior Pastor at St. Johns. Pastor Joel Newton is the Associate Pastor at St. Johns. Ginny Ranisate is the Office Manager and Treasurer for St. Johns and ABC Preschool. Cindy Yliniemi is the part-time secretary.